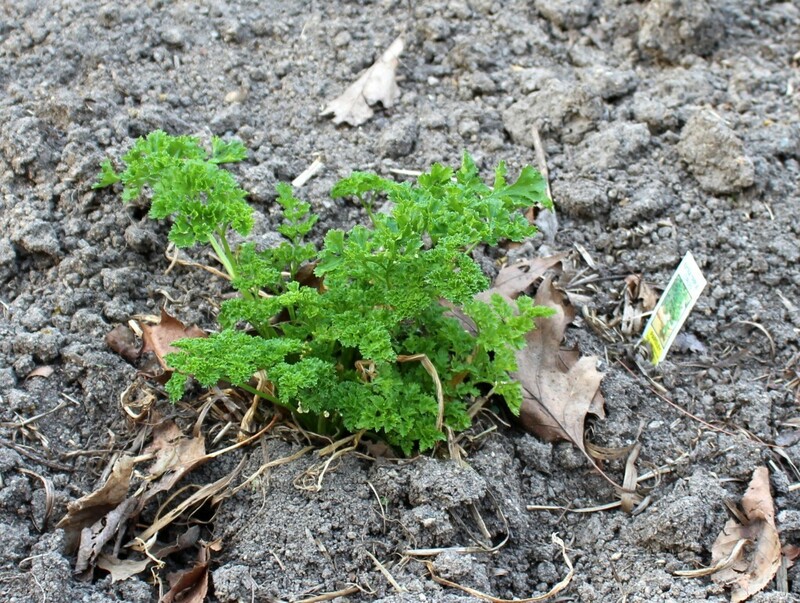 Parsley is one of the plants that might just come back alive in your garden. It doesn’t seem to mind a rough winter, like the one that we just had that was very cold. Parsley that was planted in the garden last year is coming back to life very quickly. It’s the ultimate example of a biennial plant. One that takes 2 years to complete its life cycle. The first year provides lots of greenery for the kitchen and the second year’s growth will bring us into the heat of summer with lots of green leaves to harvest. Once we get into the hot weather the flower stalk will take lots of energy from the growing plant to do its reproductive thing. And you really don’t want that unless you aim to collect the seeds. Clip off the flower stalk before it grows very tall. That allows the plant to put its energy into growing the leaves, not seeds. In the second year you’ll be able to harvest some parsley leaves before the plant dies back. Collecting leaves and either drying them or freezing them might let you get away with planting parsley every other year. But if you like to use a lot of parsley, plant one each year. That way the second year’s growth on the first plant will provide leaves for the kitchen while the second plant grows up. You can harvest from the second plant as the first plant starts to decline in summer.